It's pretty mind-blowing how cheap storage has gotten. Back in 2013, a 32GB microSD card for $20 was considered a good deal. 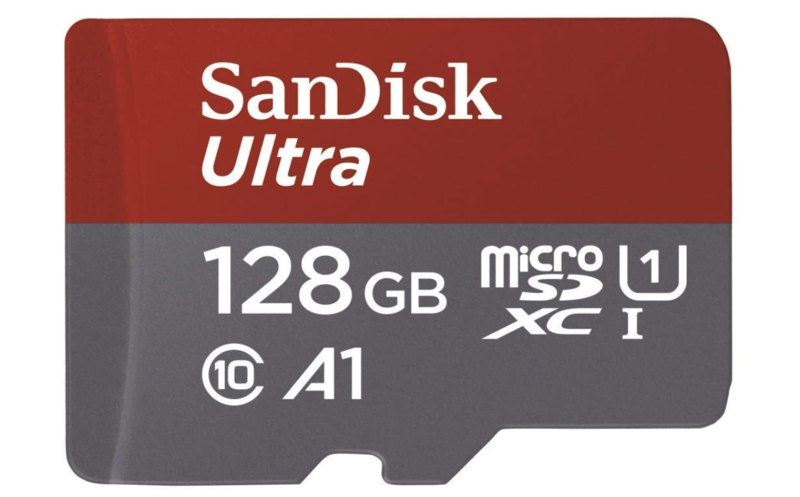 But here we are in 2019, and Amazon is offering a 128GB SanDisk Ultra microSD card for just $17.54 as part of a Lightning Deal. If you want one, you'll have to hurry — they're going quickly. This 128GB Ultra card carries Class 10 and U1 ratings. The minimum sequential writing speed of 10MB/s isn't great if you're doing a lot of file transfers, but it should be fine for most people. And at $17.54 for 128GB of microSD storage, you really can't complain much. Lightning Deals only last for a day at a time, but you also need to watch the claim percentage. From when I started writing this post to right now, the percentage claimed went from 80% to 83%. This card is going to run out of stock well before the 13 hours that it's slated to end in, so you really have to hurry if you want one of these.